It's been a while since we've had a truly wet October. I was fortunate enough to catch the eye of the storm up in Plumas County which allowed me to fish the MFFR for a few hours. 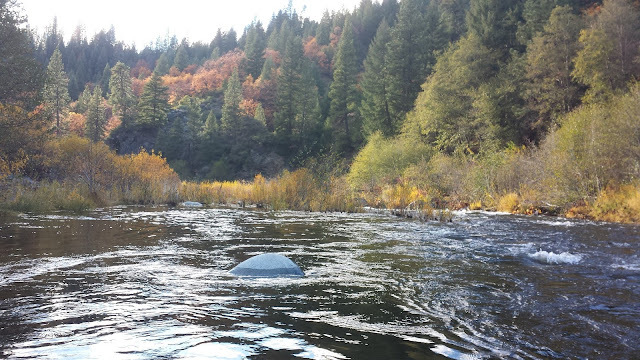 The canyon was at it's fall prime with beautiful shades of yellow, orange, red, and green. The flows have gone up to spring-run off levels which is amazing. The river is at least two feet higher than the last time I was there in September, any higher and I would have just gone home. Wading was tough, the flows were up, and the water was moving fast but I still managed to find a few hungry fish. 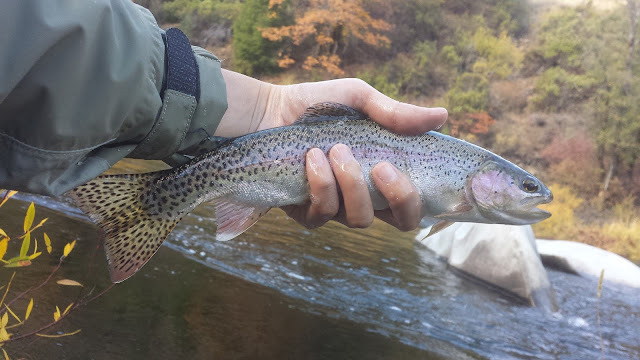 In hindsight I should have brought my 3WT but the 2WT managed just fine. I saw a few caddis and BWOs coming off which was a good sign. 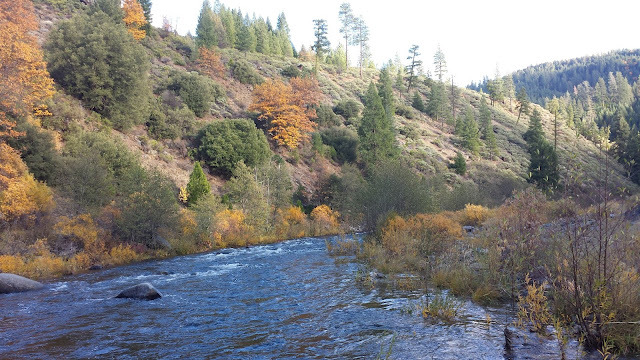 Fly fishing Plumas County in the fall is simply the best.